Attend online courses at a location, time and pace convenient for you. Attend live online in real-time classes. Get Professionally certified in technology, and we’re here to provide you with guidance every step of the way. Learn to identify different types of computers, and the components of a personal computer including microprocessors, motherboard, flash drive, hard disk, Memory, Keyboard, mouse and Input / Output devices. The students also learn to build a computer from scratch! Students learn to install motherboard, format hard drives, load software, eliminate viruses, run and troubleshoot software on the computer. This is an excellent introductory course for student interested in building a computer, learning to program, preparing for A+ Certification Exam or Microsoft Technology Associate (MTA) exam. Learn to utilize C/C++ programming knowledge, to program Arduino, a popular microcontroller. Learn how to write program to perform simple tasks. Watch your code come alive with this circuit board. Learn the basics of Java programming language to build software. Learn to use variables, built in classes, expressions, flow control, loops, arrays, strings, and more to develop an application! Learn the basic elements of creating a 2D game using Scratch Programming, developed at MIT Lab. Learn to use sprites, set background images, add sounds and music, actions, think creatively, learn to reason, collaborate and work with others. Level: Beginner. Age: 10+. Create 2D game yourself with GameMaker software. Learn to use sprites, background images, sounds and music, objects, events, actions and rooms to develop a game. 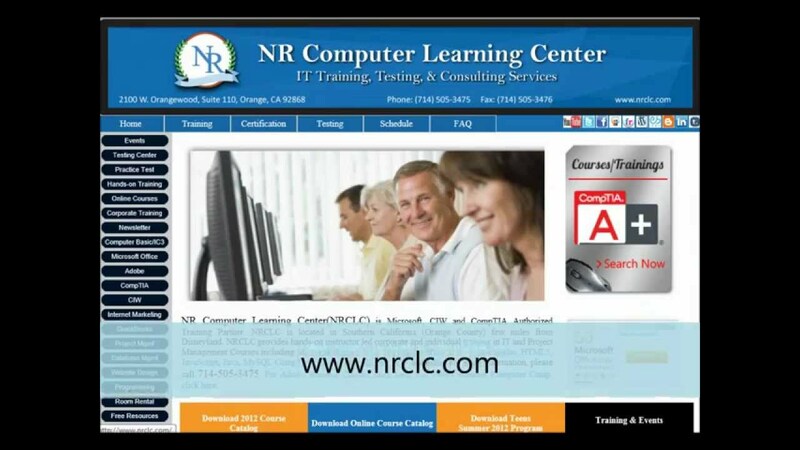 NR Computer Learning Center (NRCLC) provides training in Project Management, database design and application development.